When something goes wrong in the human body or if something seems unusual, it’s easy to wonder if what you’re experiencing is actually normal. It’s possible to write off the fact that you’re always sweating due to the weather, or exercise, or a wide variety of possible causes. However, it’s also possible that what you’re experiencing is actually medical. Here are a few ways to tell if your heavy sweating could actually justify seeking out hyperhidrosis treatment. Social Struggles: A lot of what defines “excessive” sweating is largely determined by the individual. This means the decision to reduce excessive sweating is based on the social challenges that you face as a result of this sometimes embarrassing condition. If you find yourself avoiding handshakes, romantic encounters, or social gatherings due to your concern over sweating constantly, it might be time to seek out hyperhidrosis treatment. Hyperhidrosis treatment can reduce your sweating so that you can get back to your social life with as little embarrassment and social anxiety as possible. Difficult Daily Tasks: Sometimes, hyperhidrosis can reach a point where certain daily tasks become more difficult to complete. Simple tasks like writing, for example, can become a chore. You may be in the middle of writing a sentence when the pen slips out of your hand because of sweat. If excessive sweat complicates your day-to-day productivity and ability to complete tasks, it might be time to see a doctor. Genetic Predisposition: If an immediate family member also has had problems with excessive sweating or has been diagnosed with hyperhidrosis, it might be time to talk to a doctor. 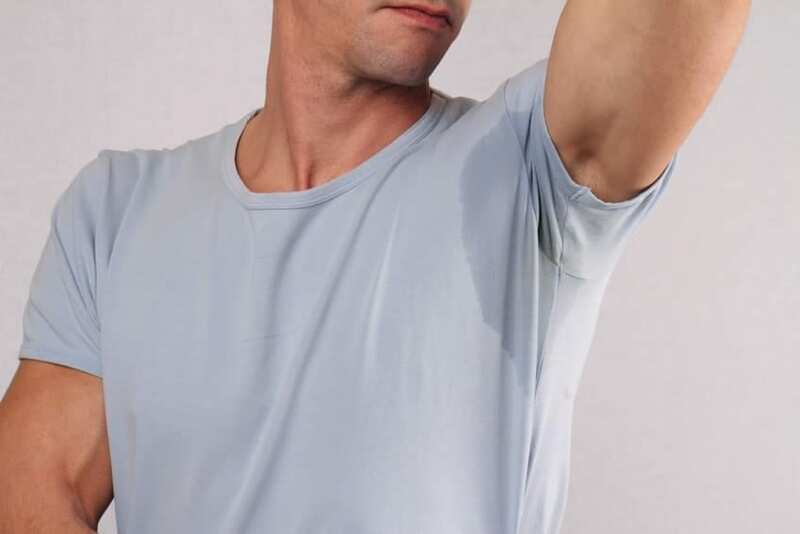 About 30 to 50% of people suffering from hyperhidrosis have another family member afflicted by the condition, implying a genetic predisposition to the condition. Thinking you might need to seek hyperhidrosis treatment after reading about when constant sweating can be a medical concern? Contact Hidrex USA to learn more about the different hyperhidrosis treatments available and see what treatment options might best for you and your situation. Hyperhidrosis can be an irritating condition when not addressed; see what you can do to stop the sweat today and get back to living your life to the fullest. Excessive sweating can be an embarrassing and frustrating condition, but if you suffer from excessive sweating, you’re not alone. Roughly eight million Americans have hyperhidrosis, causing them to sweat four to five times as much as the average person. If you find yourself always sweating excessively, you might have hyperhidrosis. Luckily, there are several treatments for hyperhidrosis. Read on to learn how to stop excessive sweating with one of the most common hyperhidrosis treatments: iontophoresis. What Is Iontophoresis? How Does it work? Iontophoresis is a common treatment for hyperhidrosis used by millions who suffer from the condition. The treatment uses a medical device to deliver small electric currents to the body through several contact points. These electric currents can reduce excessive sweating over long periods of time. Patients will place a part of their body, typically hands or feet, in a shallow body of water. From there, an electric current is passed through the water and into the body. Treatment will typically last between ten and twenty minutes and helps treat hyperhidrosis long-term if used as directed. Typically a standard treatment regimen will include iontophoresis treatments every few days. This form of treatment creates few side effects and can be incredibly effective. Is Iontophoresis Right For Me? If you’ve been trying to find out how to stop excessive sweating but haven’t had luck with medication or other treatments, iontophoresis could be right for you. Iontophoresis is a continuous, long-term treatment, which makes it a sound option for those who have been dealing with symptoms for a long period of time. Additionally, iontophoresis has fewer side effects than many hyperhidrosis medications and is a treatment that does not use drugs to address the condition. This means that those who are already on other types of medication may benefit more from iontophoresis, as it is accessible to those on other types of medication that would prevent the use of pharmaceutical options. If you’ve been looking into how to stop excessive sweating, ask your doctor of iontophoresis could be a reasonable treatment option for you. Iontophoresis devices have helped millions with hyperhidrosis, and it’s very possible that you could be the next patient iontophoresis helps.